If you were to explain to a non-British Isles race-goer that you ran your most important Classic race on a switchback course with a punishing ascent followed by a roller-coaster ride of a descent and home straight, then they would stare at you with a confused look. But this is how only Epsom can be described - home to the Derby (and its elder sister - the Oaks). The Derby has been copied all over the planet from Kentucky to Chantilly, but the original remains one of the most sustained tests of a racehorse in the world. Left-handed and undulating switchback track with easy turns and a run-in of just under four furlongs. The five-furlong spring course is downhill for most of the way and one of the fastest in the world. The racecourse can be reached by taking the A217 (off junction 8 of the M25) or the A24 (off junction 9 of the M25). To Epsom, Epsom Downs or Tattenham Corner. A bus service between Epsom station and the racecourse is in operation on race days. When summer is in full bloom, you know you are going to get many different betting opportunities at Epsom Racecourse. With this in mind, there are several reputable online sportsbooks that you can visit if you wish to take advantage of the very best odds and the ability to back horses to both win and lose! Below you will find a list of reputable betting exchanges that you can access online from the comfort of your own home! By placing your bets at these exchanges, you’ll gain access to some of the best odds for races at Epsom Racecourse! Paddy Power is one of our favorite online betting exchanges because they have been around for years and they have a solid reputation amongst punters from around the world. The thing that we like most about this online sportsbook is that they are currently giving away up to $50 in free bets to all of their new customers! There’s no telling how long this great offer will last though, so head over to Paddy Power today to get your free bonus money before it’s too late! Click here to bet on Epsom races at Paddy Power! Another established and respected online betting exchange that is offering free bets to all of their new customer is Bet365. At the moment, all new customers who signup and make an initial deposit will instantly be eligible to receive up to $200 in free bets! This is a fantastic opportunity to get the most bang for your buck, so head over to Bet365 today to get in on the action! Click here to bet on Epsom races at Bet365! 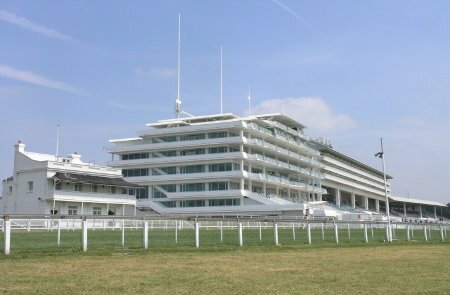 If you’re looking for a new online sportsbook where you can bet on all of the races at Epsom Racecourse, we highly recommend trying out Ladbrokes. They aren’t new by any means, but if you haven’t placed wagers with them before, you’ve been missing out on one of the most trusted betting exchanges in the world! Right now, Ladbrokes is offering all new customers up to $50 in free bets, so head over to their website today to read more about this great offer! Click here to bet on Epsom races at Ladbrokes! If you’re not sure where to place your wagers online, you can’t go wrong with Bodog; one of the most popular online sportsbooks around! They have been around for many years and they are considered by many to be true pioneers in the online betting industry. We’re huge fans of Bodog because of their stellar reputation amongst punters from around the world, so try them out today to see everything that they have to offer! Click here to bet on Epsom races at Bodog!